Simpatico Low Acid Coffees receive rave reviews from IC patients for their flavor and a smooth, rich mouthfeel. 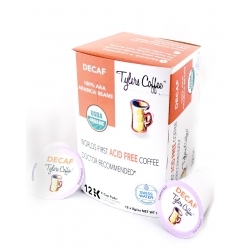 As a dark roast, it's also more bladder friendly! 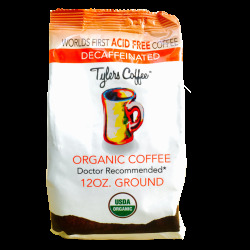 Roasting helps to remove residual acids from the beans. The longer the roast, the lower the acid. 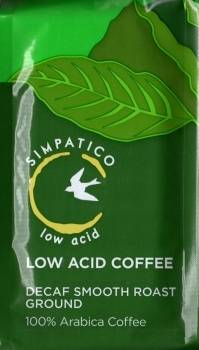 We think Simpatico dominates its competitors on the market and is worth trying if your bladder symptoms are controlled. 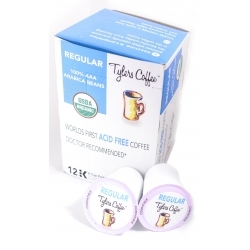 However, if you're in an IC flare, we think all coffees should be avoided until symptoms subside. 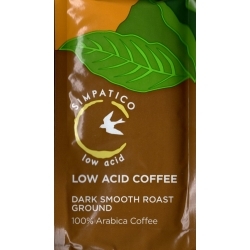 Simpatico Low Acid Espresso Coffees received excellent reviews in a blind, third party review of all low acid coffees by coffeereview.com. Straighttrade.org Certified and Revelation Roasted.